All-in-one platform for commercial solar, delivered by a proven energy solutions provider. 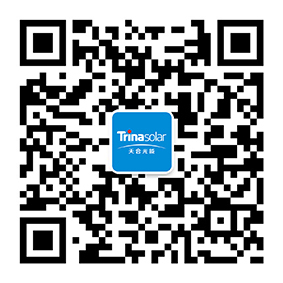 TrinaPro from Trina Solar is your single, convenient source for all solar project requirements. Our commercial solar options include a broad range of features designed to maximize PV panel efficiency and ensure streamlined upgrades, replacements and maintenance operations for all of your infrastructure. Commercial solar today spans many possible locations and applications. In this context, TrinaPro customers benefit from options to have their solar arrays mounted either on the ground or rooftops. Energy gains can rise by as much as 30 percent with an integrated tracker. The world-class inverters within TrinaPro make sure your solar infrastructure can generate maximum power at an economical cost. Inverters are available in multiple sizes – 36kW, 45kW, 60 kW and 125kW currently. Both string and central inverters are available for implementation within TrinaPro. When you require help with troubleshooting or upgrading your solar infrastructure, you can conveniently turn to Trina as your sole point of contact from start to finish. Teams at Trina Solar offer industry-leading customer service. Solar systems are much larger than their PV panels. TrinaPro was designed to give customers everything necessary for a highly adaptive, efficient and cost-effective solar installation, through our balance of system (BOS) offerings. TrinaPro extends far beyond simply selecting your inverters, modules and trackers along with their particular specifications. Operations and maintenance (O&M) programs are also available through TrinaPro.